Capt. 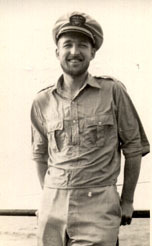 Guy O'Neil, USN, Ret. 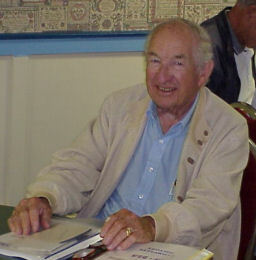 Guy graduated from the United States Naval Academy at Annapolis, MD with the class of 1937. He earned the Navy Cross for the GUNNEL's 7th War Patrol. He was a fine man, a good friend and advisor and he will be missed by all who knew him. The President of the United States takes pleasure in presenting the Navy Cross to Guy Edward O'Neil, Jr., Lieutenant Commander, U.S. Navy, for gallantry and intrepidity and distinguished service in the line of his profession as Commanding Officer of the U.S.S. GUNNEL (SS-253), on the SEVENTH War Patrol of that submarine during the period 21 October 1944 to 28 December 1944, in enemy controlled waters of the South China Sea. Through his experience and sound judgment Lieutenant Commander O'Neil brought his ship safely back to port. 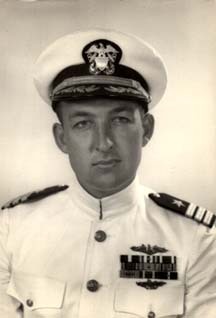 His conduct throughout was an inspiration to his officers and men and in keeping with the highest traditions of the United States Naval Service. There is a port of no return where ships may lie at anchor for a little space.